A trainee footballer has kicked-off his apprenticeship in Brighouse with the help of a West Yorkshire Combined Authority scheme. 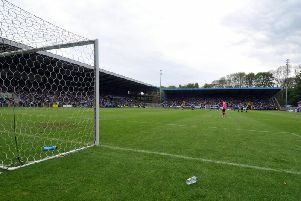 Gerard Duarte Dos Santos, who is a winger and a member of Brighouse’s Expro Academy, travels to the town’s Dual Seal Stadium for training four times a week from his home near Huddersfield’s Greenhead Park. After finding out about Travel2Train from one of WYCA’s roadside displays, Gerard applied to the scheme, which provided him with a reconditioned bike, brand-new bike helmet, lights, lock and high-viz vest. Travel2Train helps apprentices in West Yorkshire with travel to their apprenticeship. Those who are unable to use public transport due to the requirements of their apprenticeship or their job, face high-cost fares or prefer to cycle, can apply for a free reconditioned bike and equipment.